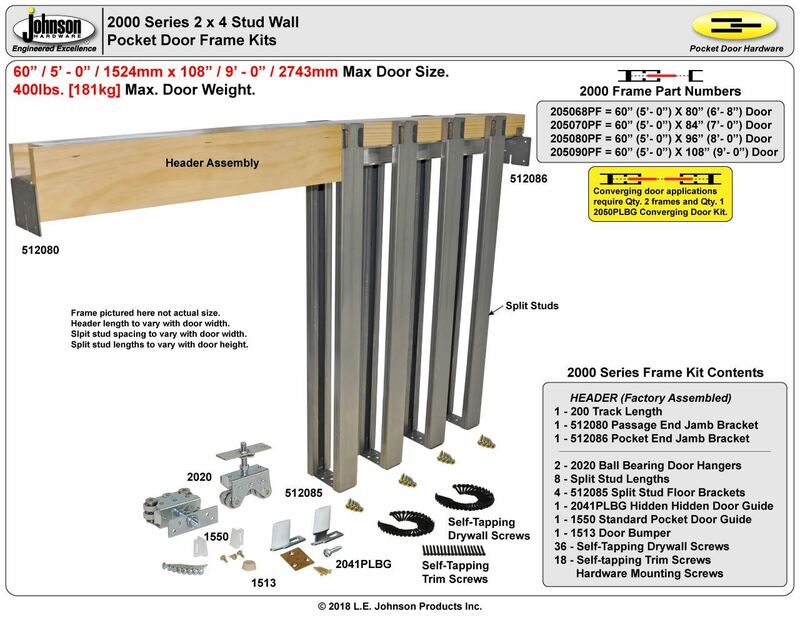 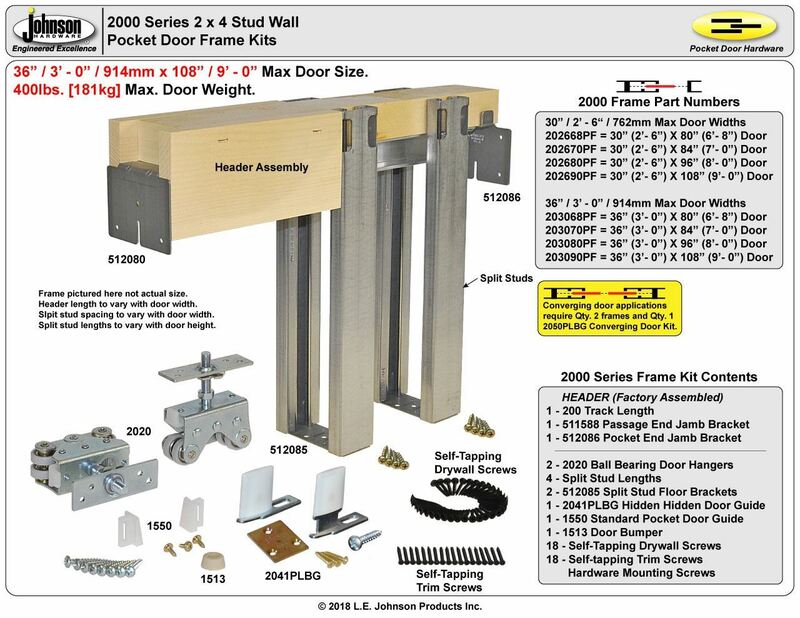 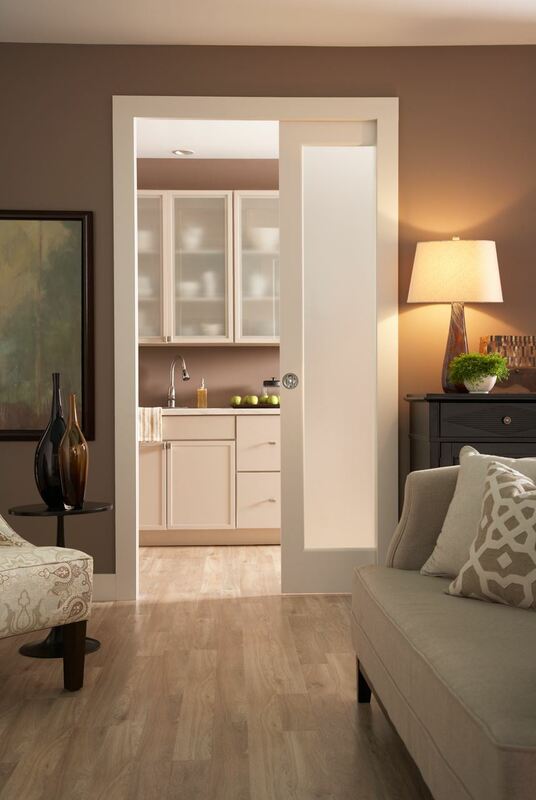 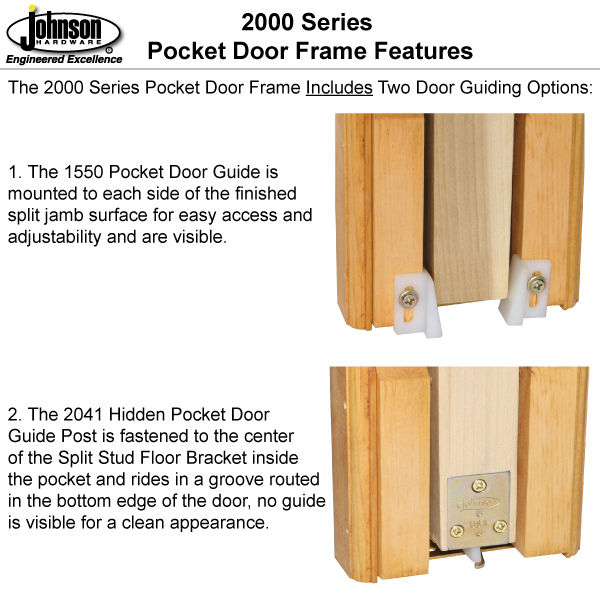 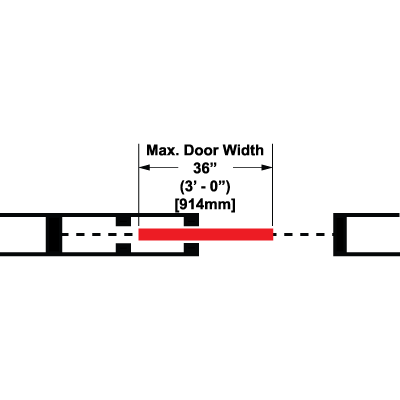 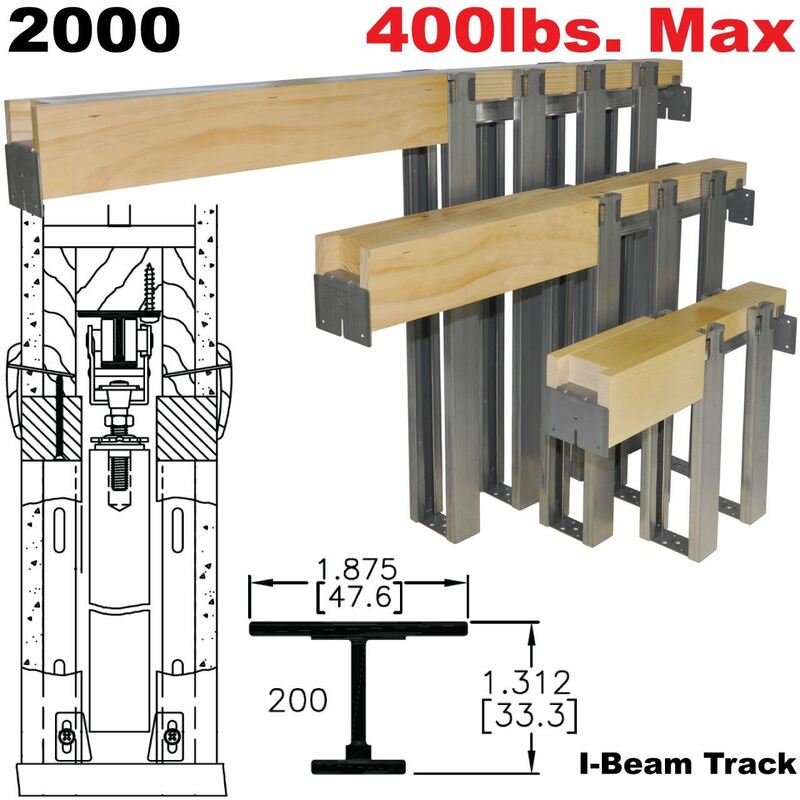 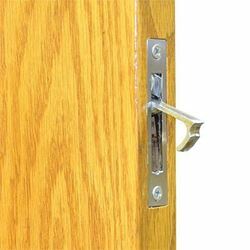 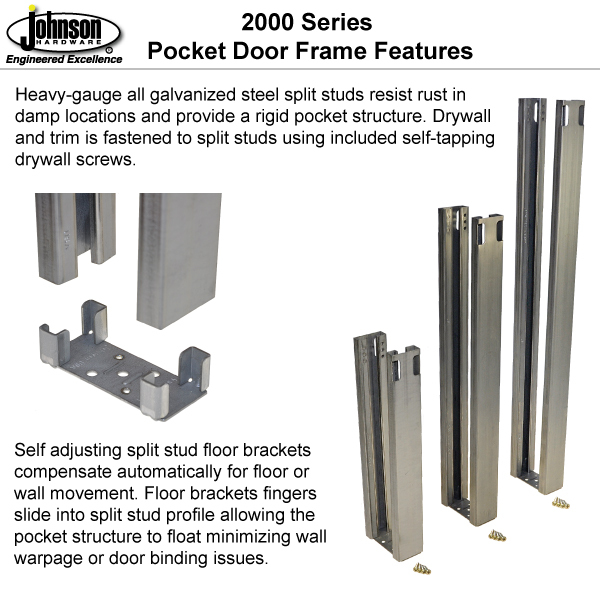 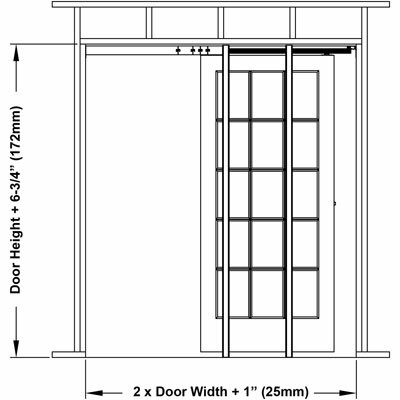 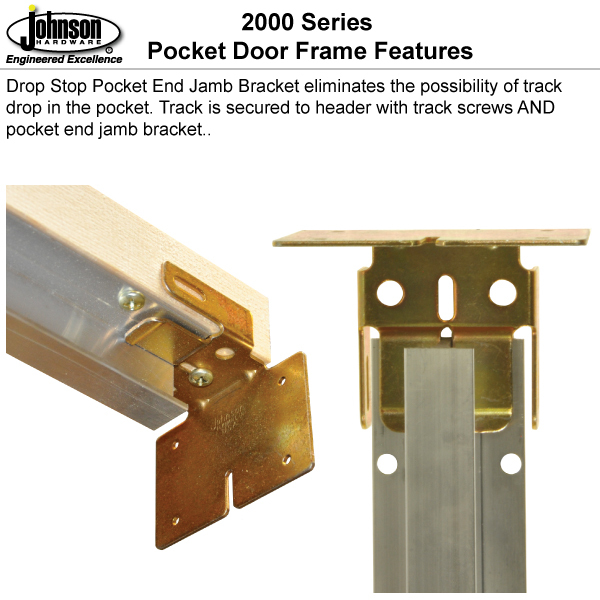 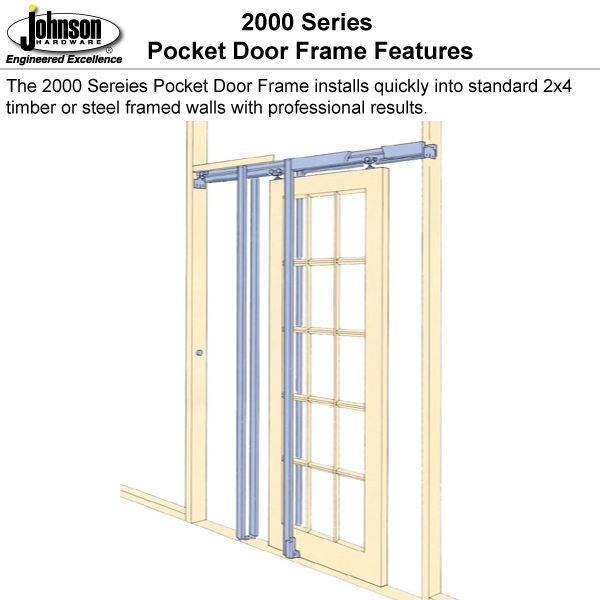 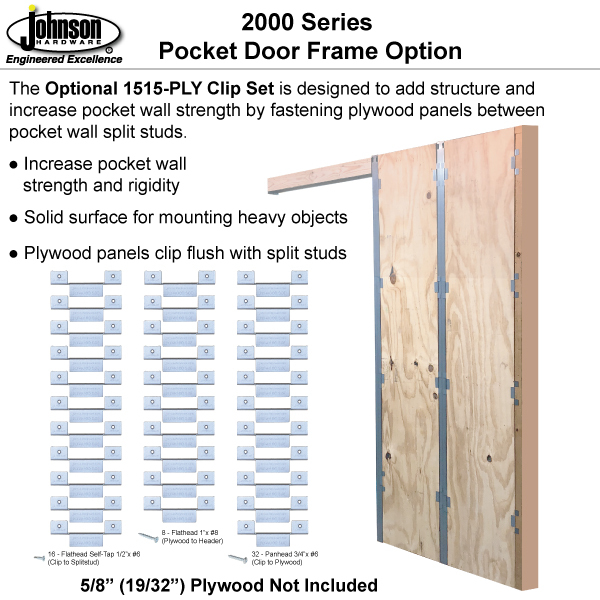 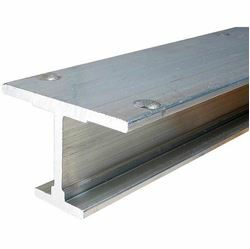 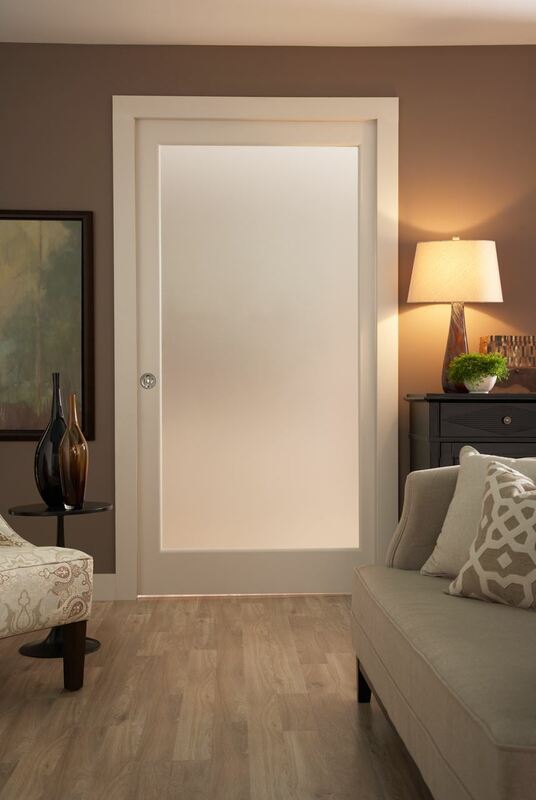 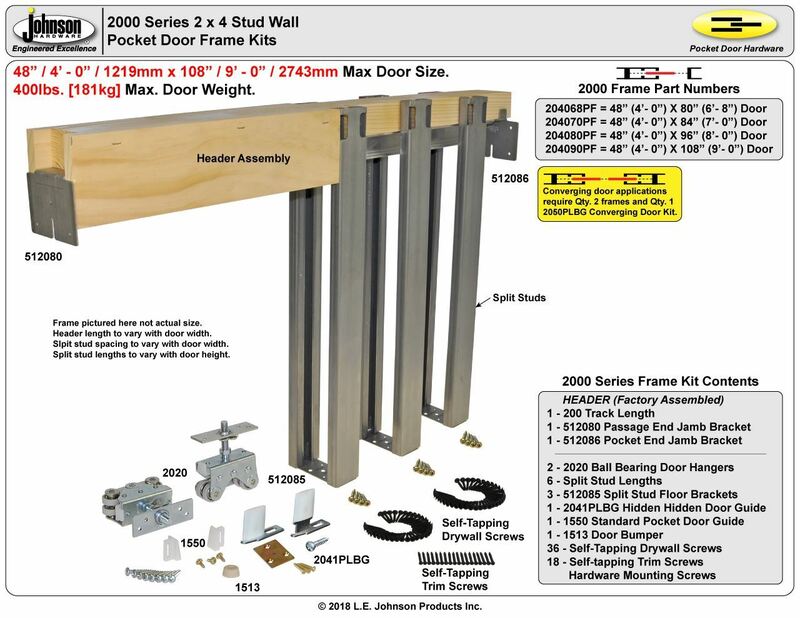 The 2000 Series Pocket Door Frame is designed to carry heavy solid core doors (up to 400lbs each) in standard 2 x 4 timber or steel framed stud walls. 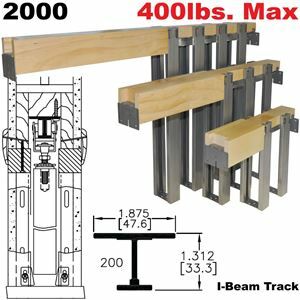 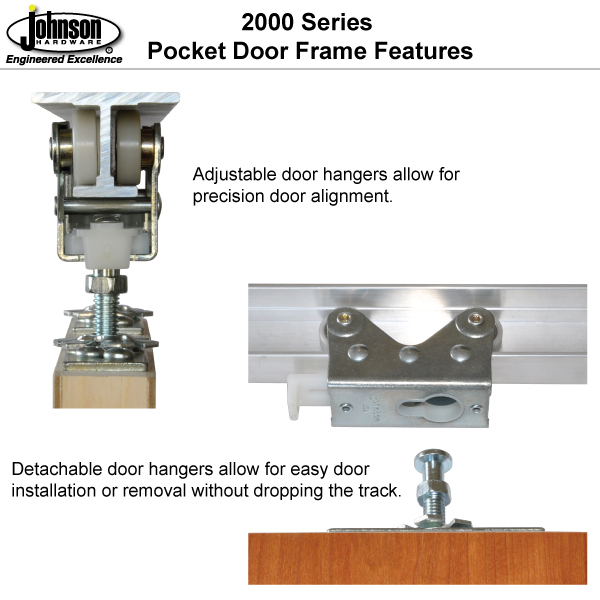 The 2000 frame kit is packaged for easy transport and fast installation for either single door or converging door applications. 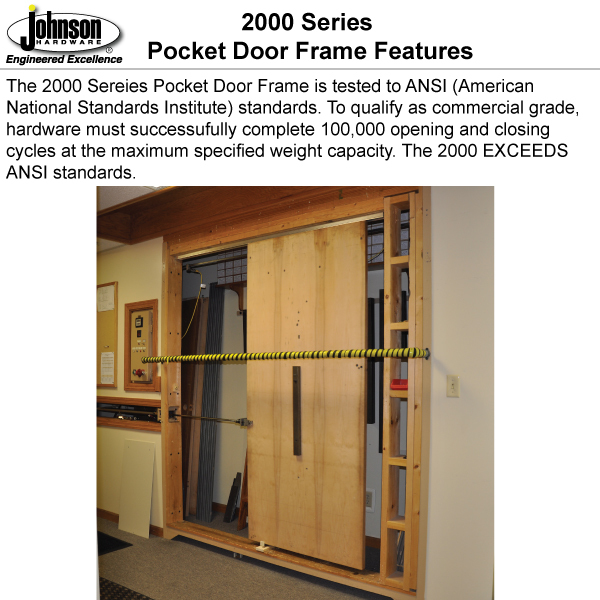 The 2000 is a versatile frame and can be adapted for use in non standard wall thicknesses, block masonry walls and can be cut down to accept any smaller size door size. 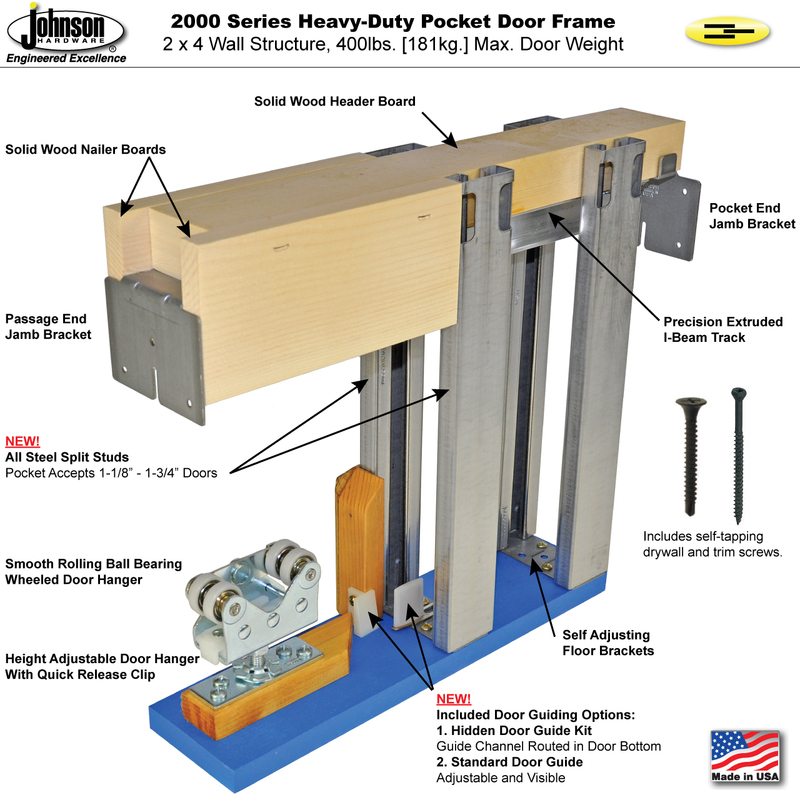 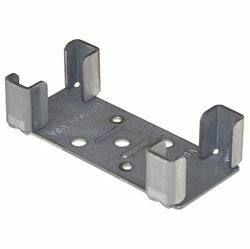 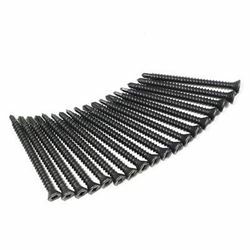 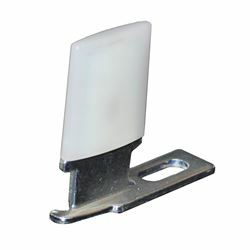 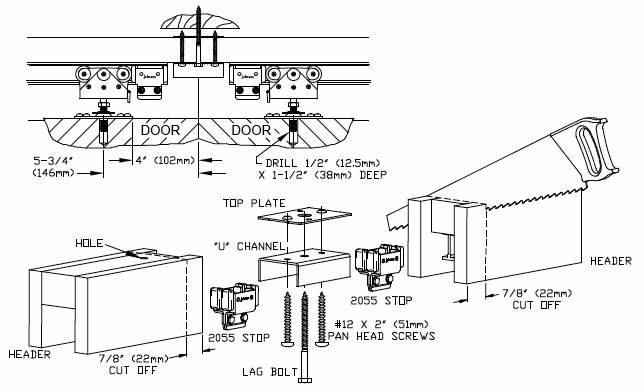 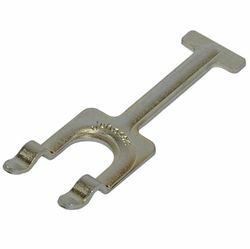 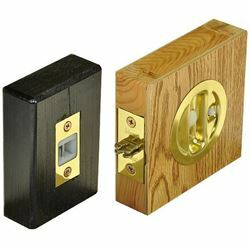 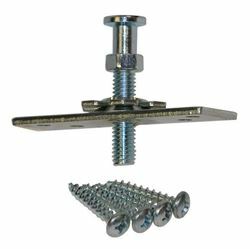 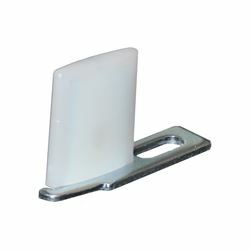 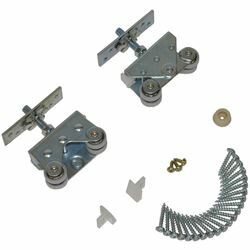 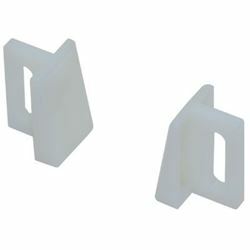 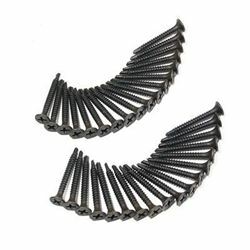 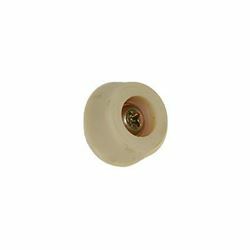 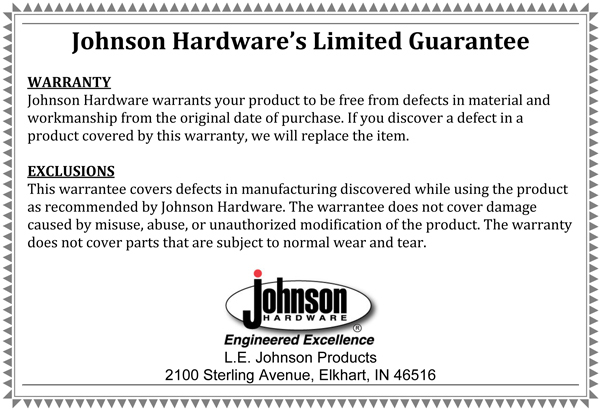 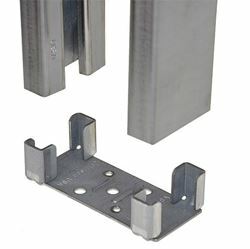 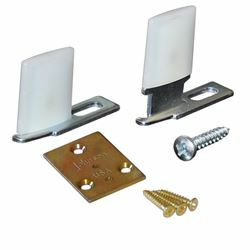 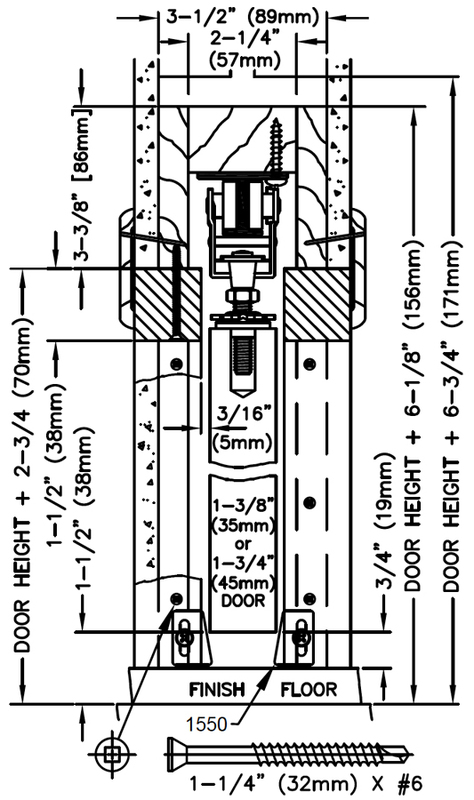 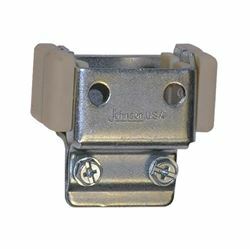 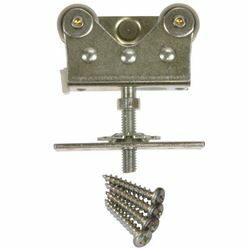 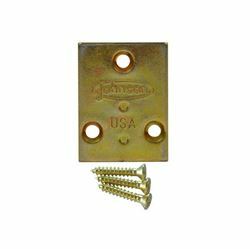 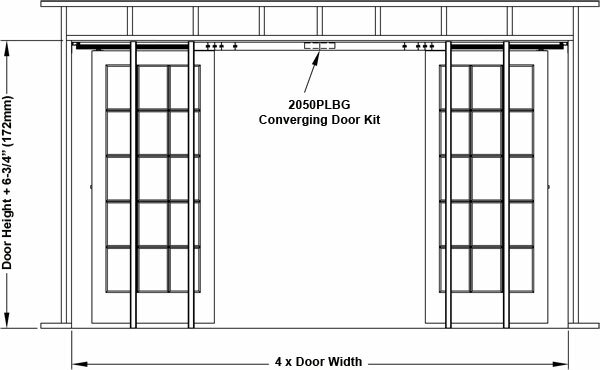 Pocket Door Frame kits contain all necessary hardware to prepare a 2x4 wall for a single pocket door installation in a 2x4 stud wall (door, jambs, drywall, door locks, door pulls, hidden pocket door guide kit NOT included). 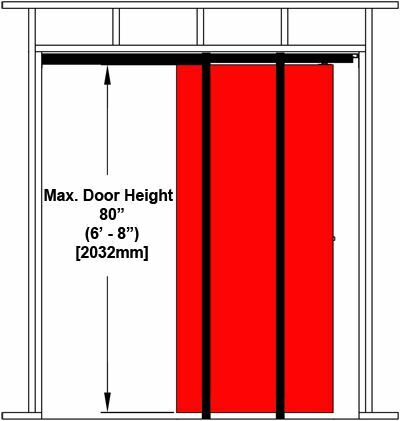 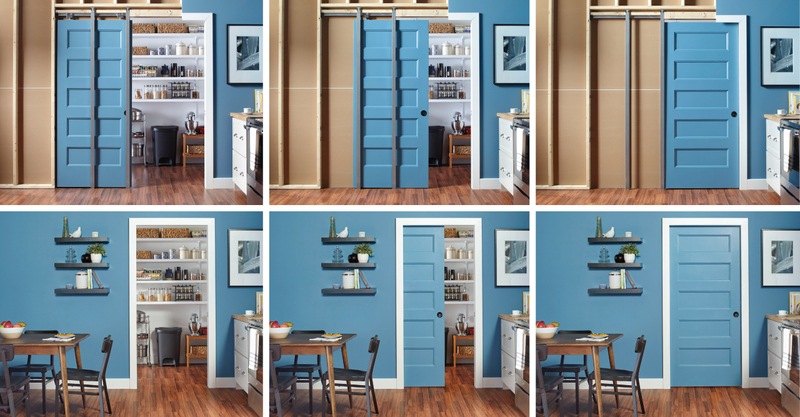 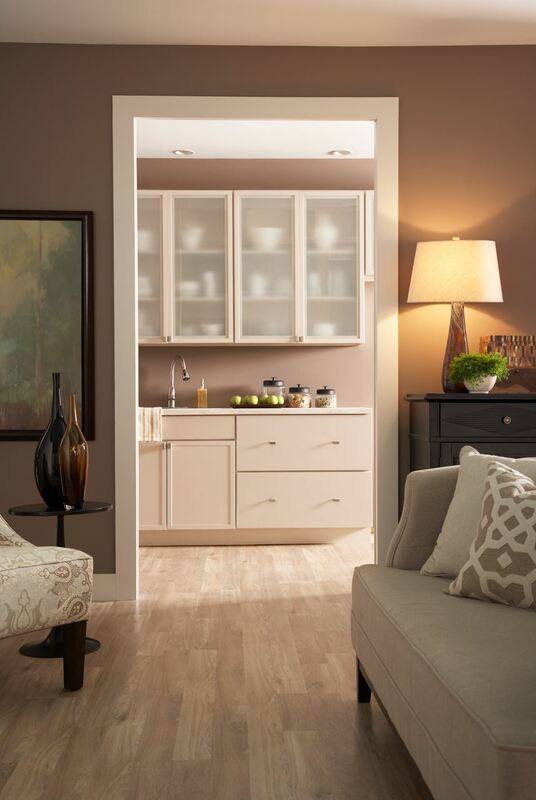 All frames CAN be cut down to fit smaller size door.